All Gloster woven furniture is made from only the highest quality man-made fibre. Soft to the touch, this remarkable material has many benefits including high suppleness, tear resistance, UV resistance and weather resistance. 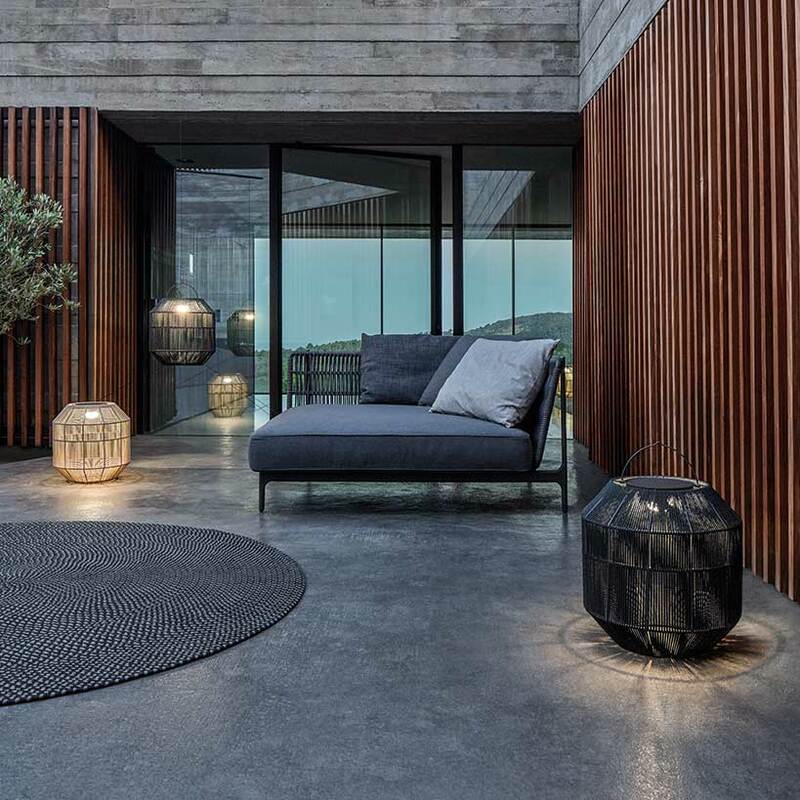 The polyethylene based, extruded and through-dyed wicker is also completely weatherproof, insensitive to differences in temperature and extremely hard wearing. A Plantation dining chair will typically take one person 1½ days to weave. A Manhattan or Geneva chair will take less time and a Casablanca sofa can take up to 3 days. (These names relate are older ranges and may not be available today but illustrate the time taken nonetheless). 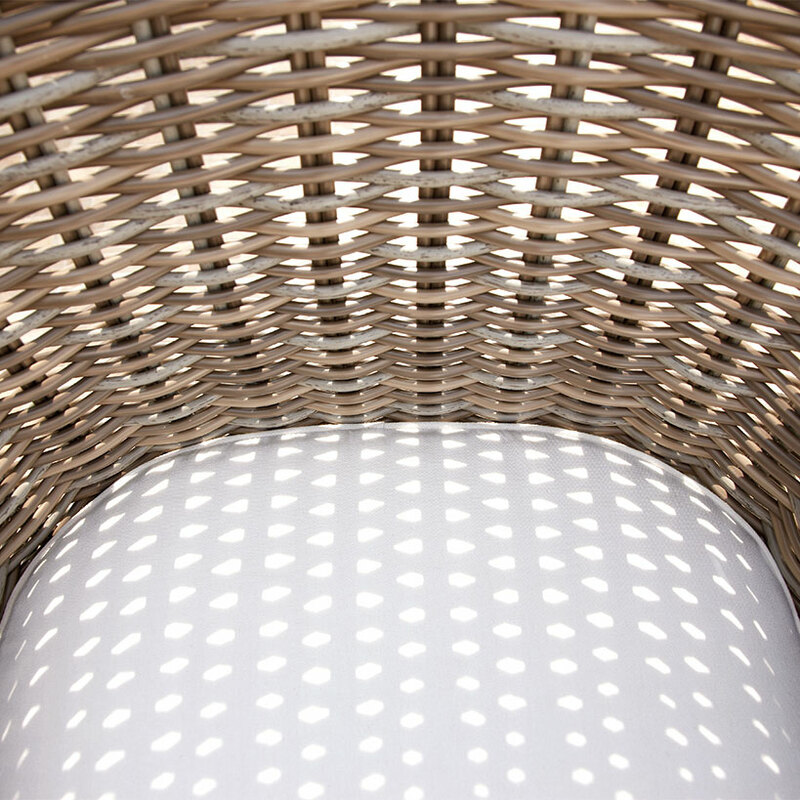 It takes both patience and experience to weave a piece of woven furniture. Gloster weavers are highly skilled artisans, often 2nd and 3rd generation weavers. Often, there are husband and wife teams who will work simultaneously on the same chair. They use their traditional experience with natural materials and apply their experience to using the modern man-made wickers. 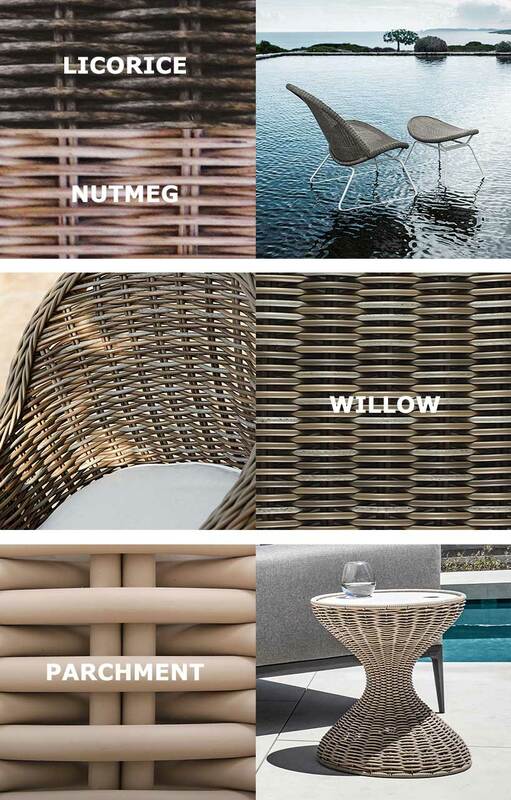 Gloster weave furniture comes in a variety of colour ways. Click here to browse Gloster furniture. 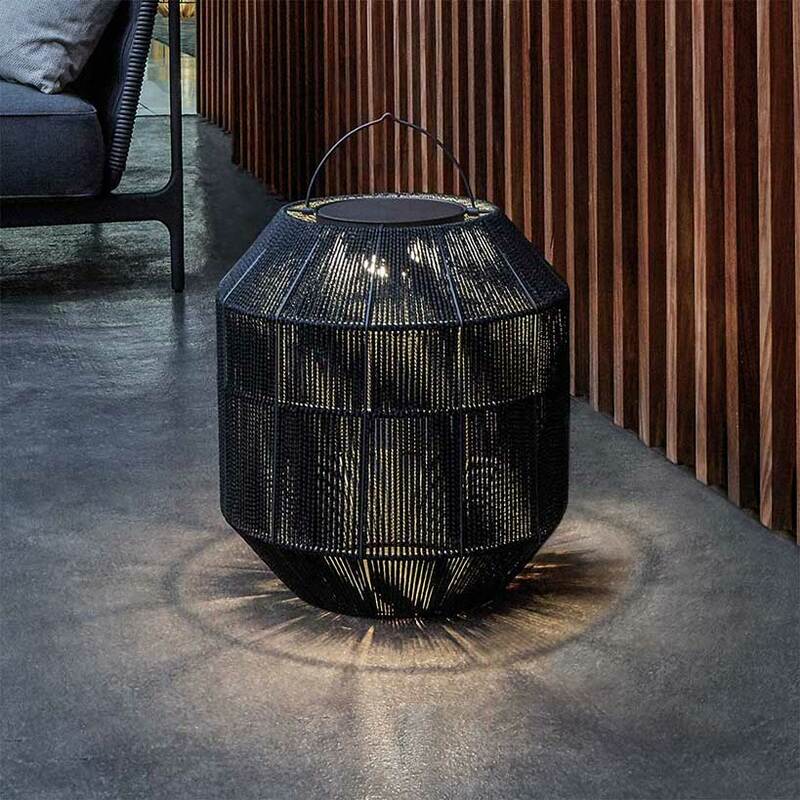 Once welded, the entire frame is electro-statically powder coated in a tough, smooth finish that matches the colour of the wicker. This way, the frame is fully protected against corrosion and becomes virtually invisible once it has been woven over. It is possible to see though the small gaps in weaving and that is why Gloster colour the frame the same tone as the fibre, so that it is not noticeable through the tiny gaps in the weaving. 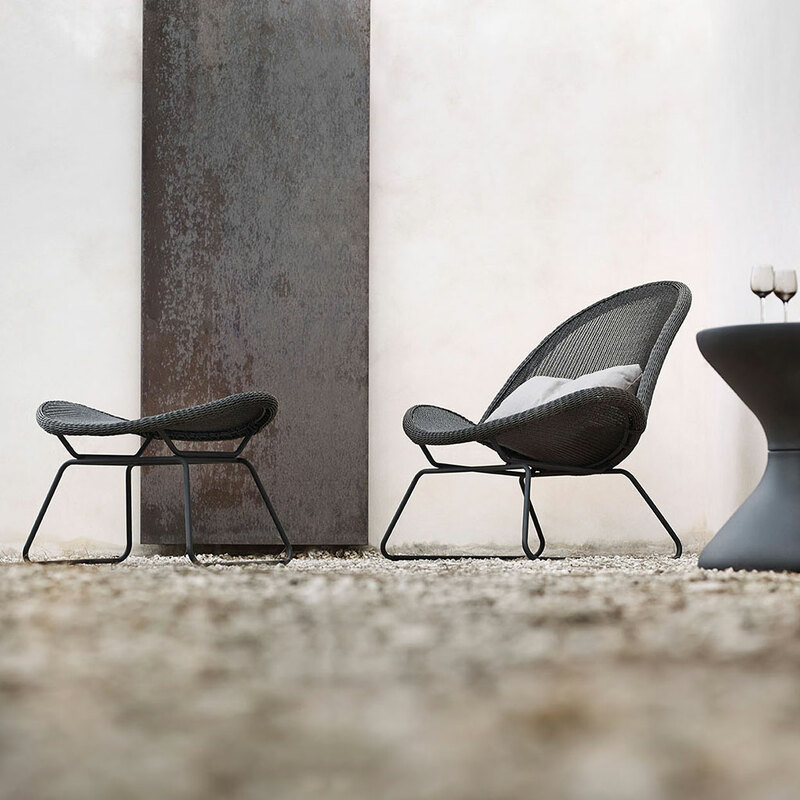 How are the arms attached on Gloster's woven dining chairs? 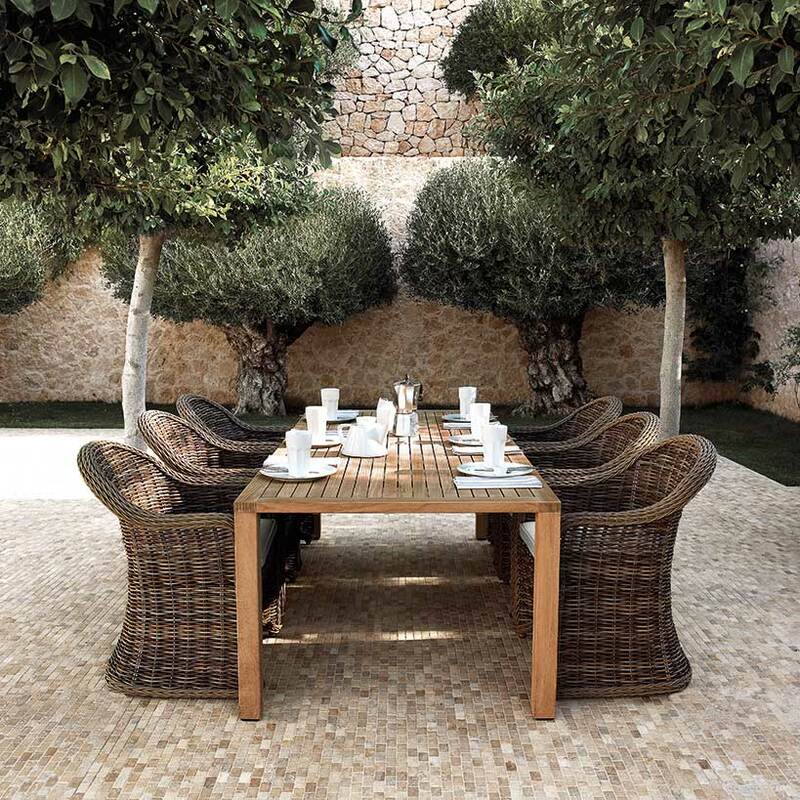 The integration of the teak arms is a key feature on many of Gloster's woven dining chairs. At the front, the arms are secured to the frame using 6mm machine screws which attach through the side of the arms and into captive threaded inserts that have been welded into the frame of the chair. This ensures a metal-to-metal joint which is far stronger than simply screwing through the wood and into the frame, which is made from a fully welded, powder-coated aluminium frame. The arms are the last item to be finished on the chair and are only attached at the very end of the weaving process to minimise any possible damage to the teak. Once attached, the weaving around the joint of the arm is finished off and securely fixed to ensure it cannot unravel. Is there anything special about the way Gloster weaves its products? 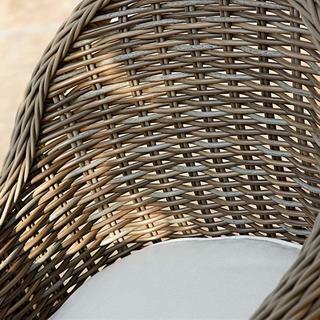 Gloster use a more textured, thicker type of wicker than most other manufacturers. 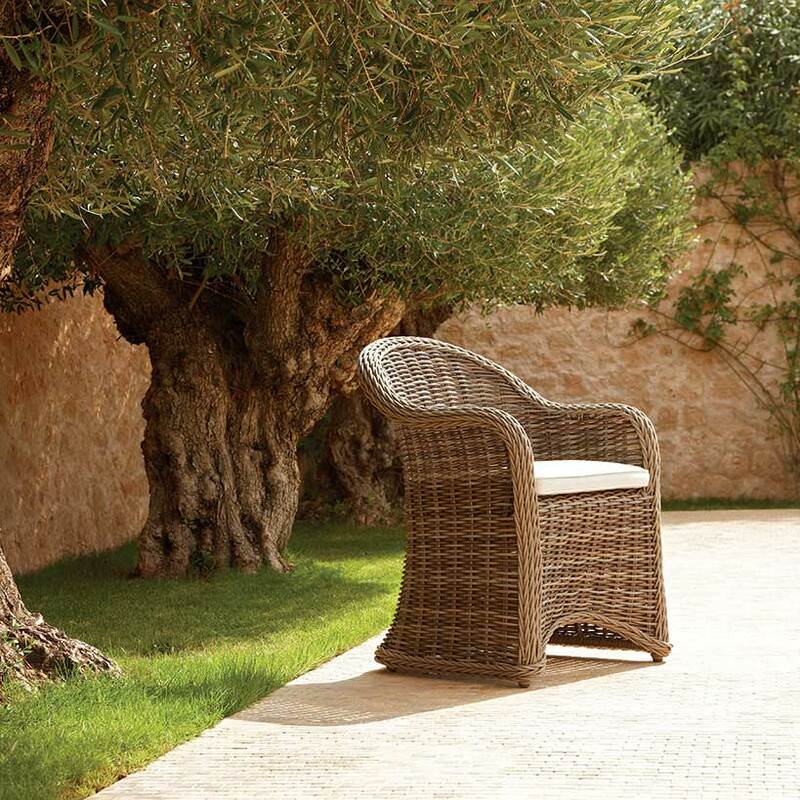 Although this wicker is harder to weave, it is stronger, more resistant to tension, tearing and splitting. It also wears better and gives a more natural feel to the product. 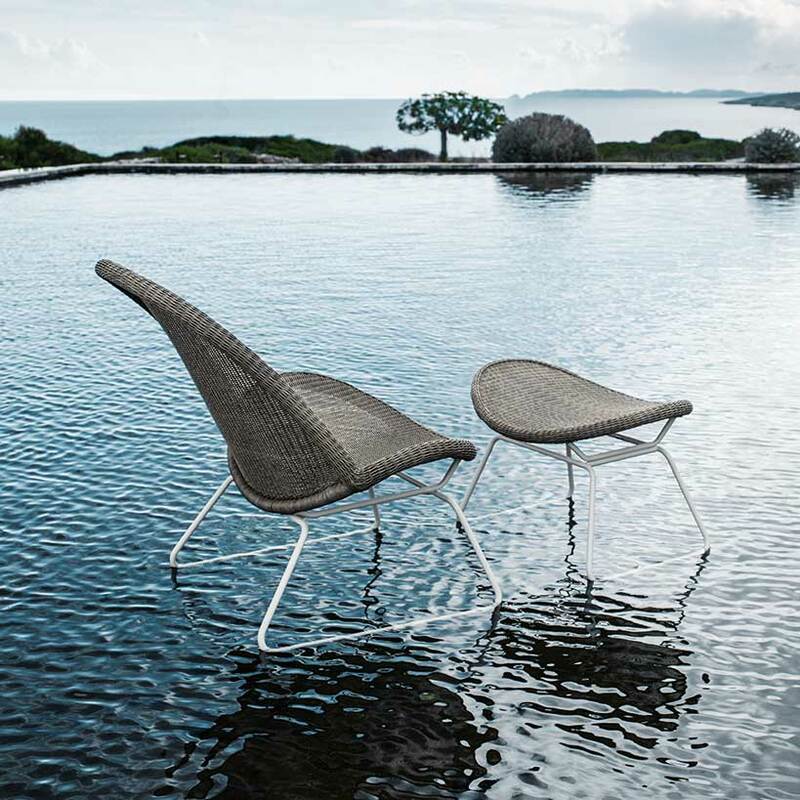 It is extremely resistant to ultraviolet light, and is both chlorine and salt water resistant. 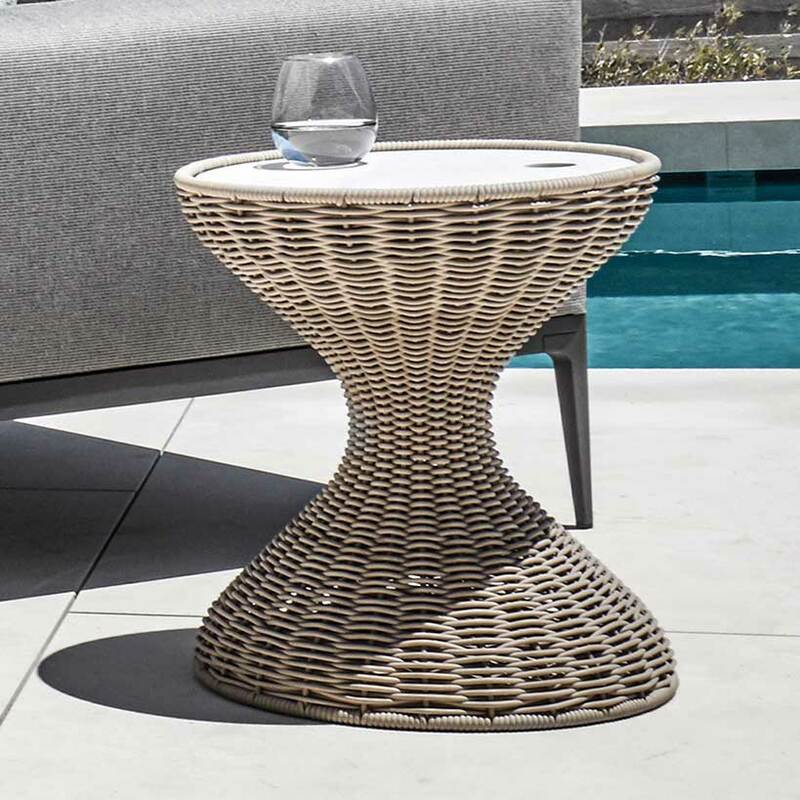 Gloster woven furniture is 100% hand-woven, making each item as individual as the person who wove it. 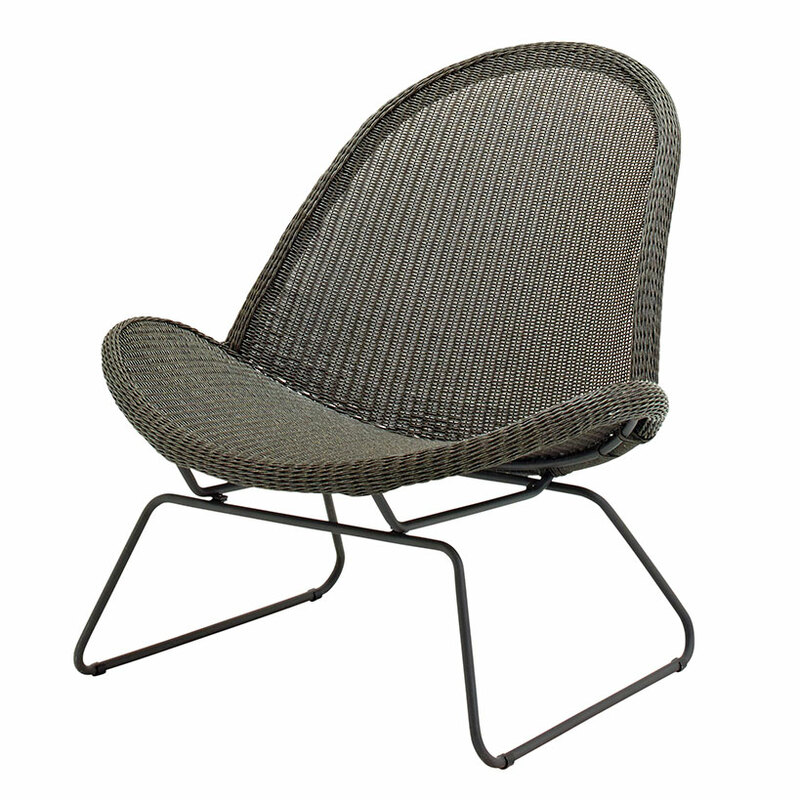 Every part of the chair is covered in wicker to achieve an exceptional appearance. In addition, Gloster ensure that all weaving is as tight and compact as possible. This minimises any gaps in the weave showing through to the exposed frame and also ensures the weaving is less likely to sag over time.